Scoop flesh out of avocados and mash roughly. Stir through lemon or lime juice and season with salt and pepper. 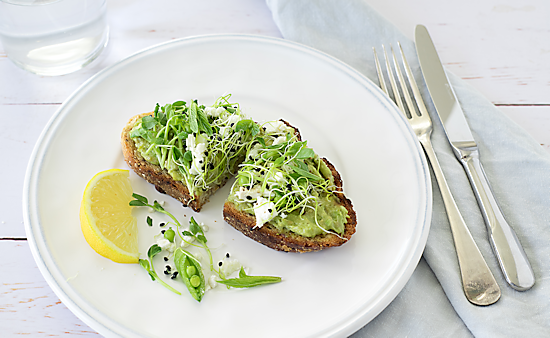 Spread avocado over toast slices. Top with Aussie Sprouts Pea Shoots, goat’s cheese, onion sprouts, sugar snap peas and mint.